It is the privilege of the Church to share in the Lord's care for those who are sick or in need. We regularly include the sick in our prayer. If anyone who is sick would like to share their name with the parish so they are prayed for by name then we need their explicit permission for this. Details of how to provide us with this permission are given here. We have a monthly service of Anointing of the Sick in the parish church. The liturgy is usually on the first Friday of the month at 11am, but details are given in the parish newsletter. Should you wish to receive the Sacrament of Anointing at home, please contact the parish priest. The concern that Christ showed for the bodily and spiritual welfare of those who are ill is continued by the Church in its ministry to the sick. This ministry is the common responsibility of all Christians, who should visit the sick, remember them in prayer, and celebrate the sacraments with them. 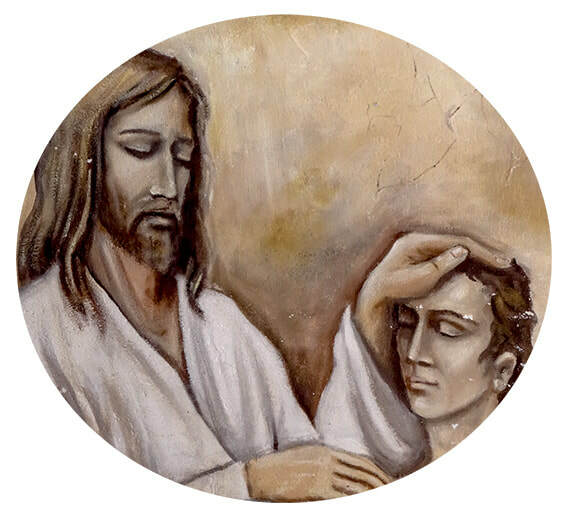 The family and friends of the sick, doctors and others who care for them, and priests with pastoral responsibilities have a particular share in this ministry of comfort. Through words of encouragement and faith they can help the sick unite themselves with the sufferings of Christ for the good of God’s people. Remembrance of the sick is especially appropriate at common worship on the Lord’s Day, during the general intercessions at Mass and in the intercessions at Morning Prayer and Evening Prayer. Family members and those who are dedicated to the care of the sick should be remembered on these occasions as well.